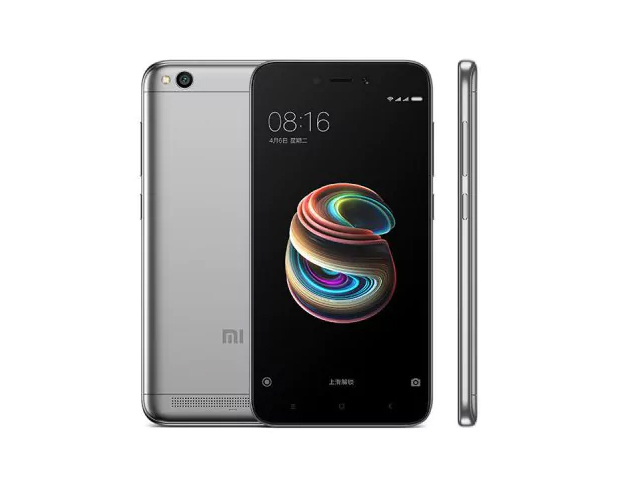 Con el Redmi 5A, Xiaomi ofrece un smartphone Android compacto y de bajo precio, adecuado para aplicaciones sencillas y compradores que se preocupan por el precio. En nuestro análisis revelamos lo que los usuarios pueden esperar del pequeño smartphone de 5 pulgadas, inferior a 100 euros ($116). Xiaomi recently brought its “entry-level smartphone king”, the Redmi 5A, here in the country. We’ve already done our written review of it but we also prepared a video review that you can watch below. Once again, Xiaomi proved that they have what it takes to produce a performer even at the entry-level category. So, is the Redmi 5A the entry-level smartphone king? Well, in some regards, yes but it does lose its crown in one aspect. Performance-wise, the Redmi 5A is, without a doubt, one of the best in its category. It also has an excellent display, a plethora of useful shortcuts and features, and a decent performing battery. Unfortunately, the king will have to give up its crown when it comes to camera performance as it falls short in that regard. Xiaomi Redmi 5A Review: The Ultimate Budget Phone? With powerful hardware, decent camera and display the Redmi 5A is really hard to beat on pure value alone. Like we said in our unboxing, the phone uses a chipset that is utilized by other smartphones that have almost double the price of the Redmi 5A, which also sometimes have worse specs in comparison. The Redmi Note 5A is another powerful budget phone made Xiaomi. The phone is good for first-time smartphone buyer. It’s a complete package offered by Xiaomi at an attractive price but honestly, I don’t see any significant upgrades over the last generation models. At last we can say that Xiaomi seems to have cracked the budget smartphone segment. At the price point of view, the phone itself stands out among the budget smartphones, the performance is best in class, for a price tag of ₹4,999, you get an excellent phone with good specifications and a decent battery life. It also gets the MIUI 9 out-of-the-box giving as much features from the operating system. There’s a dedicated microSD slot if you want to expand the storage without losing the dual SIM functionality. In addition to the features, the IR Blaster can be handy sometimes. A great device for the people who want to get all Android features at the lowest price, the Redmi 5A is highly recommended. Xiaomi continues to impress with its budget smartphones, and although the Redmi 5A doesn’t offer anything extra than 4A, it is an excellent value-for-money smartphone at its original price of ₹5,999 ($94). In summation, the Redmi 5A manages to check all the boxes, a first-time smartphone adopter could wish for. The phone packs a sturdy build, a good display, an able processor and GPU combination as well as a good rear camera in good lighting conditions. The formula for making a good overall package at enticing price points is one of Xiaomi's strengths. This has also held it in good stead in the fast-evolving smartphone market in India. The only section where it failed to better its predecessor was in the battery life department, which could be improved on with better software optimisation. 83% Xiaomi Redmi 5A Review: (5)A smartphone for India indeed! Overall, the Redmi 5A is another value-for-money (VFM) smartphone from Xiaomi. It has all the required sensors, including an infrared sensor for remote control and also comes with dedicated dual SIM and microSD slots. The camera is decent for the price, but it could have been better and the battery life is not impressive. The Xiaomi Redmi 5A comes with a price tag of Rs 4,999, which makes it a good offering for those first-timers looking for a smartphone. The Redmi 5A has a lot going for it -- the device is powered by Qualcomm processor, offers 13MP camera and 3,120 mAh battery. The only missing point is the absence of fingerprint sensor. For those looking for alternative can consider buying the Nokia 2. What we fancy about the phone are the standalone microSD slot, an IR Blaster, and decent battery capacity. It does miss out the fingerprint scanner on the rear side, a selfie flash, and a metallic design, but you can’t expect everything from a phone that’s priced just as cheap as ₹4,999. The overall package is extremely value for money. We will soon review the product in the coming days. Stay tuned. The Redmi 5A is directed towards first-time Internet users and users who are looking to switch from a feature phone to a smartphone, without having to spend a fortune on a good handset. Much like the JioPhone, the Bharat 1, the Galaxy J2, the Moto C and the Nokia 2. Unlike the JioPhone, the Bharat 1, the Galaxy J2, the Moto C and the Nokia 2, however, the Redmi 5A doesn't compromise much in terms of hardware specs; it doesn't compromise much in terms of looks and feel either. The Redmi 5A is not targeted at those who already bought the Redmi 4A. Instead, Xiaomi says it is targeting first-time smartphone buyers, especially those who are looking to upgrade their “dumb” feature phones. At Rs 4,999, Redmi 5A is the most affordable Xiaomi smartphone in India. And it tells a lot about the company’s expectations from the Redmi 5A. When you look at the Redmi 5A, its design, specifications, 4G LTE connectivity and cameras, all this makes the phone stand out in the competition. Xiaomi continues to impress us with its low prices, and even though the Redmi 5A doesn't give us anything new or different compared to the Redmi 4A, it still delivers excellent value. If you can grab the 2GB/16GB version at the introductory offer price of Rs. 4,999, you'll be very happy. Even at its regular retail price of Rs. 5,999, there aren't many phones that could compete with it. If you're a first-time smartphone user, or are only concerned with basic communications, the Redmi 5A would be quite a good choice. Camera quality is really the only major downside, and if that's important to you, you'll have to spend a bit more. For Rs. 4,999 there is nothing out there to compete with the Redmi 5A. If you still have doubt visit Mi Store and check the handset, get a demo and don’t forget to carry cash / credit / debit card. Xiaomi Redmi 5A First Impressions: Is it truly an upgrade to Redmi 4A? To wrap up, the Redmi 5A does not really seem to be an upgrade to the Redmi 4A. The smartphone features almost similar design, exactly the same display, hardware, almost the same camera among others. The only take away from this phone is the latest MIUI 9 and a dedicated micro SD card slot. Rest is up to you to decide! Xiaomi Redmi 5A is quite amazing in terms of design, its hardware is quite powerful.This device has been made to make furor in the low-end niche. It did. Thanks to a traditional Redmi appearance and good specs list the Xiaomi Redmi 5A could win customers hearts. But what’s more important, the Redmi 5A is priced as low as possible. Agree 122.99$ is an unbelievable price for a good smartphone. We have already managed to review some models. But none of them can be compared to this handset. I guess this is the phone that will sell in millions and it’s priced the phone price that determines the mobile phone market position. Here Use the coupon (Code: REDMI5A) to get it for SP: $109.99. 79.82%: Esta evaluación no es convincente. Debe ser considerado que difícilmente existen portátiles que reciben una evaluación abajo de 60%. Esta portátil es evaluada abajo del promedio, esta realmente no es una recomendación para la compra.